Asset Fineline worked as a subcontractor to Wates Living Space and has completed the 18 month project worth in the region of £2 million in windows and doors. Asset Fineline fabricated and installed PVC-u windows and doors, and installed composite fire doors in addition to some refurbishment work to a small percentage of the existing windows. The Ocean Estate regeneration scheme in Stepney Green, which is one of the largest projects of its kind in the UK. Wates Living Space are in partnership with London Borough of Tower Hamlets Council, Tower Hamlets Homes and East Thames Development Consortium. 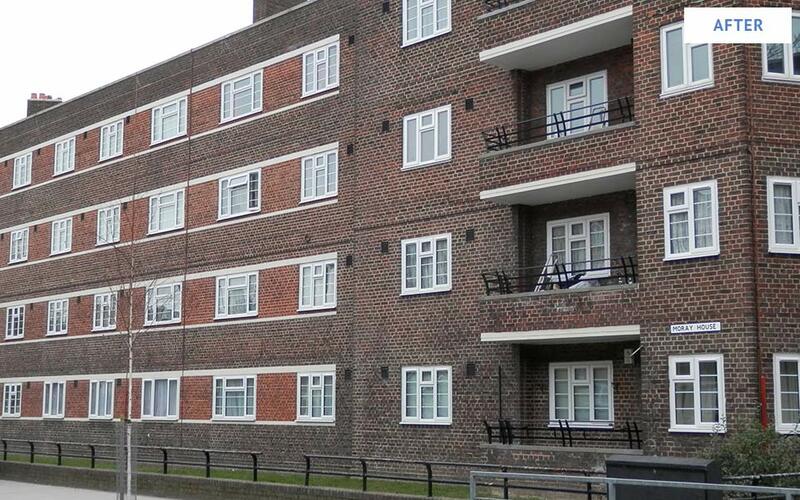 The scope of work included internal, external and environmental refurbishment works to over 1000 properties, upgrading them to exceed the Decent Homes Standard. Ocean Estate, was identified as a priority for refurbishment by the HCA (Homes & Communities Agency). 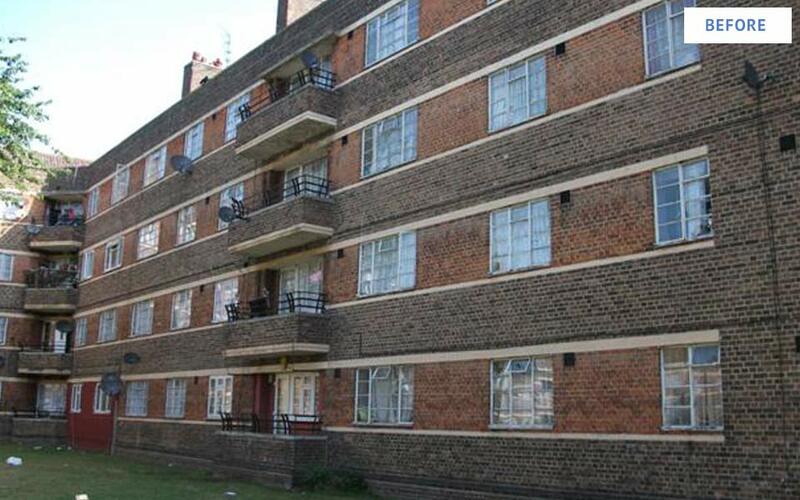 It was placed amongst the 10 per cent most deprived estates in England and just 46 per cent of its homes met the Decent Homes standard in 2001. Asset Fineline were very proud to be working alongside Wates Living Space on the Ocean Estate. Competition was fierce but, with our strong track record in social housing, we were able to demonstrate our excellence in providing Wates with the reliable supply-chain partnership they were looking for. It was particularly refreshing to see Wates review the whole package on offer and choose the best package for their clients based on a series of interviews and negotiations. Key to our success in this tender was Asset Fineline’s strong partnering ethos and our commitment to customer service, combined with products proven to deliver outstanding long term performance.